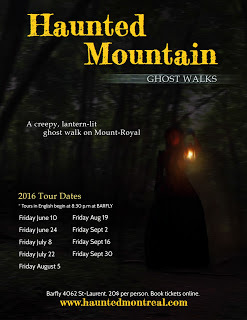 Welcome to the fifteenth installment of the Haunted Montreal Blog! 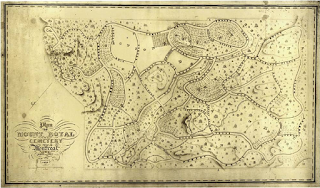 Released on the 13th of every month, the July 2016 edition focuses on research we are carrying out into the Camillien-Houde Belvedere on Mount Royal. Also known as the “Lover’s Lookout”, its romantic atmosphere is known to attract young, amorous couples. 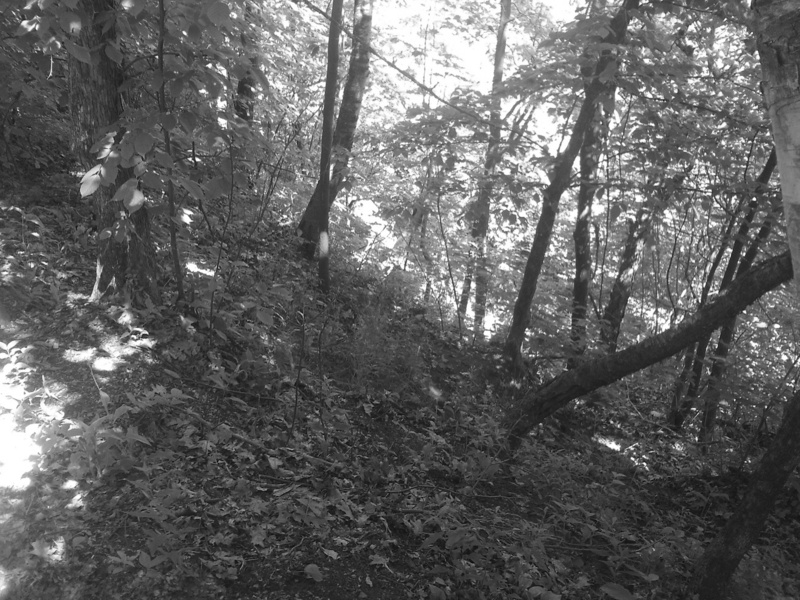 Unfortunately, there have been several mysterious injuries and deaths at this location caused by people tumbling down the steep slopes late at night. 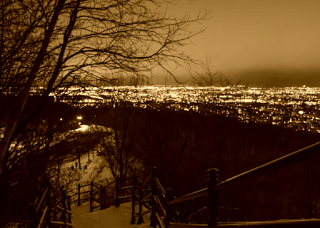 Rumours suggest that the area is haunted by ghosts from the nearby Protestant Mont Royal Cemetery and that these spirits may be responsible for those unlucky enough to fall down the dangerous slopes of Mount Royal late at night. The Camillien-Houde Belvedere is a charming spot perched high above the north-eastern slope of Mount Royal. Complete with winding stairways and garden-like slopes, the area features benches, lamp-posts, coin-operated telescopes, and places to park. The romantic belvedere offers incredible views of the Olympic stadium, Jacques-Cartier Bridge, Saint Lawrence River, and Plateau-Mont-Royal and Mile-End districts. Named after Montreal’s colorful wartime mayor, Camilien Houde, the delightful lookout is also rumoured to have a dark side. Unfortunately, despite its romantic appeal, the Camilien-Houde Lookout can be a very dangerous place at times. 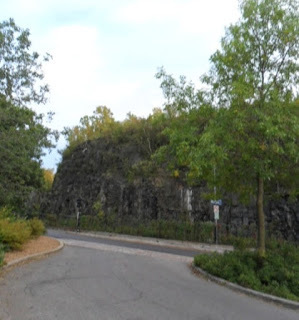 Many lovers, tourists and students celebrating their high school graduation have reported strange sightings on the cliff behind the lookout, which is actually the border of the Protestant Mont-Royal Cemetery. While the most recognized ghost is that of an Algonquian warrior, undead apparitions of all sorts have been known to appear on this haunted cliff, terrifying the sight-seers on the Camilien-Houde Lookout below. 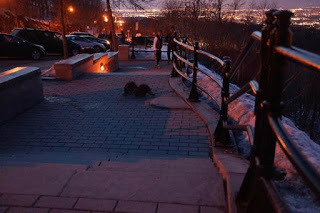 To make matters worse, there have been several mysterious deaths at this location caused by people falling down the steep slopes of Mount Royal. Starting with the history of the location, the Camilien-Houde Lookout was created in 1958, during the construction of Camilien-Houde Parkway, which required a special law to build. Following the old Number 11 tramway line established in 1930, the road links Beaver Lake at the top of the mountain with Mount Royal Avenue in the Plateau. Always a popular location, the Camilien-Houde Lookout was renovated and enhanced in 1996 by award-winning landscape architect Wendy Graham, which enhanced its romantic appear and hence reputation as a “Lover’s Lookout”. Camilien-Houde was the popular and flamboyant mayor of Montreal on four separate occasions, including during World War II. He was a reform-minded and also pushed for improvements on Mount Royal, such as the construction of Beaver Lake during the Great Depression. Ever the colorful character, he is fondly remembered for expressions like: “As long as we keep a balance between the praying and the sinning, we’ll never sink into wickedness”. 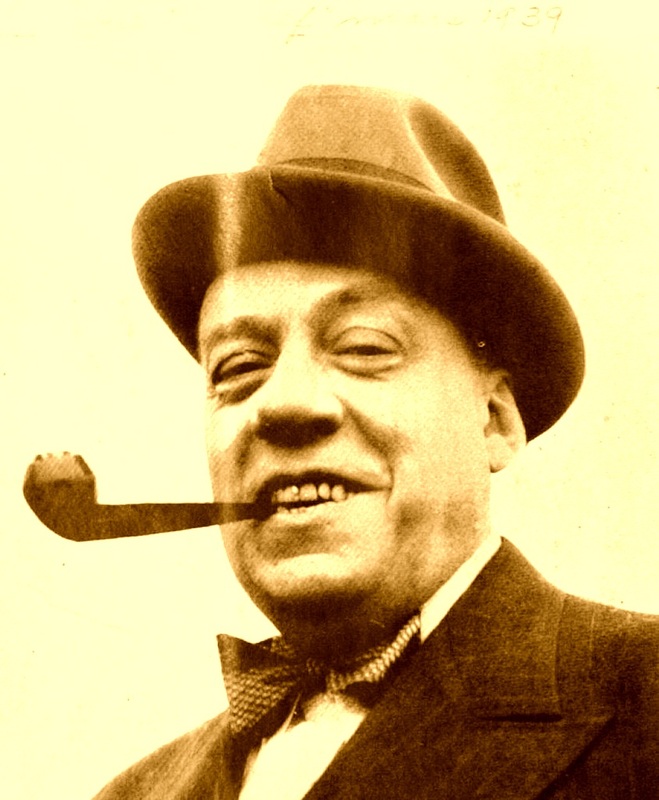 Houde also had a rebellious side, and on August 2, 1940, Montreal’s controversial mayor publicly urged the men of Quebec to ignore compulsory conscription for World War II, as introduced by the Federal Government. Three days later, he was arrested by the Royal Canadian Mounted Police on charges of sedition. With no trial, he was sent to be confined in internment camps in Petawawa, Ontario, then Minto, New Brunswick until his release several years later on August 18, 1944. When he returned to Montreal, he was greeted by a huge crowd of 50,000 cheering citizens. The popular mayor easily won his re-election as the leader of the city that same year. Even in death, the old mayor was flamboyant. Following his passing in 1958, Camillien Houde was interred in an Italian marble replica of Emperors Napoleon’s tomb in the Catholic Cimetière Notre-Dame-des-Neiges. Years later, Mayor Jean Drapeau would name the new road and lookout over Mount Royal after Houde. 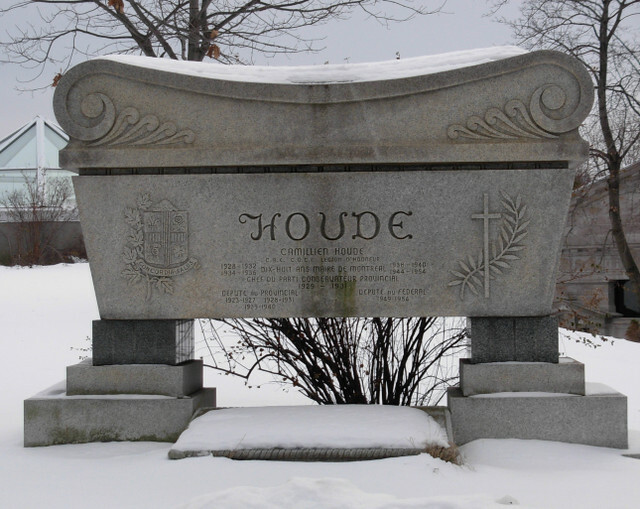 The move was considered ironic by many citizens because Houde had long opposed building any roads on Mount Royal. Incidentally, the Camilien-Houde Lookout is located at the bottom of an ominous cliff, on top of which is Protestant Mount Royal Cemetery. Adjacent to the Protestant Mount Royal Cemetery is the much larger Catholic Cimitière Notre-Dame-Des-Neiges, which was founded in 1854. 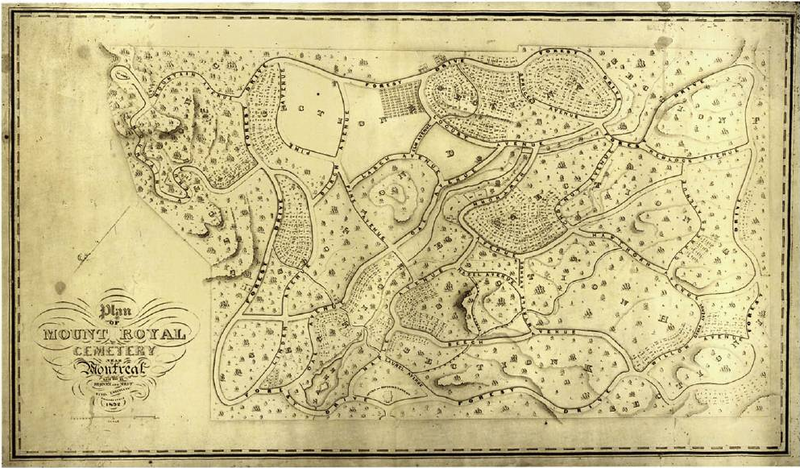 Once farmland, the cemeteries were designed after a Parisian theory that suggested burial grounds should also be beautiful parklands. The two massive cemeteries are presently running out of space. Cimitière Notre-Dame-Des-Neiges is estimated to have one million graves, whereas the smaller Protestant Mont-Royal Cemetery has about 162,000 interments. 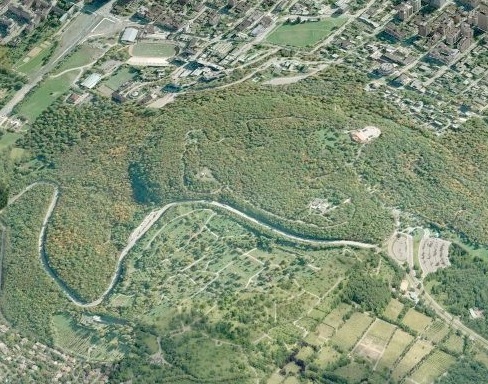 When statistically combined, the cemeteries on Mount Royal constitute the largest intact burial ground in North America. When it comes to Paranormal Activity, the Protestant Mont Royal Cemetery is said to be the more active of the two. Security guards are known to patrol the creepy burial ground in cars at night. Rumours suggest that not only have there been cases of vandalism, but also Black Masses involving animal sacrifice. Apparitions have also been seen walking through the graveyard as well standing on the edge of the high rock cliffs at the boundaries of some parts of the cemetery. While the most recognized ghost is that of an Algonquian warrior, undead apparitions of all sorts have been known to appear on this haunted cliff, terrifying the sightseers on the Lookout below. Why an undead Algonquian warrior might haunt a Protestant cemetery is anyone’s guess. Is he guarding something? Did he perish long ago in a forgotten war? Is his presence related to other First Nations burial sites found on Mount Royal? Historically, there have been discoveries of aboriginal graves on the mountain, often with the deceased being buried in the fetal position. Could the Protestant Cemetery have been laid out on top of another older burial site, creating a disturbance for those originally interred? If so, could the spirit of the Algonquian warrior have returned to this world in a sort of paranormal protest? 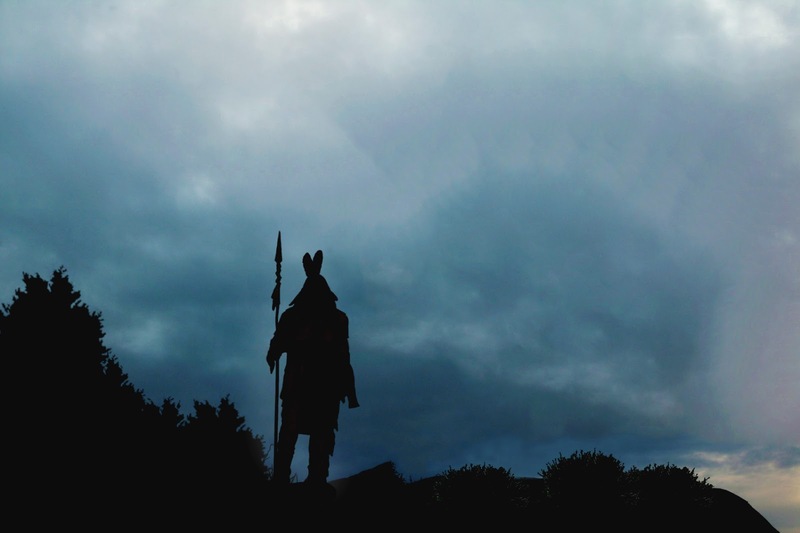 While nobody knows the answers to these questions, the appearance of the ghostly Algonquian warrior is one of Mount Royal’s most mysterious legends. In addition to the undead apparitions that frequent the cliff, there are other unsolved mysteries at the belvedere. 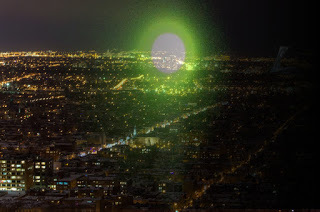 A strange sighting occurred at the Camilien-Houde Lookout during the 1990s, which may have been a UFO. The former manager at the now-defunct Caverne Grecque restaurant was shocked when he witnessed a “10 foot orb” floating across the air in front of his parked car. 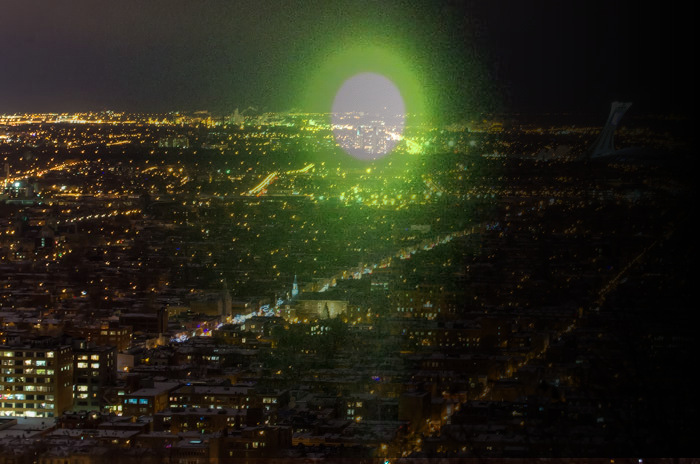 The large orb hovered there, in front of the belvedere, for several minutes before floating away towards the east. Unable to comprehend what exactly had happened, the baffled man still discusses the strange incident to this very day. 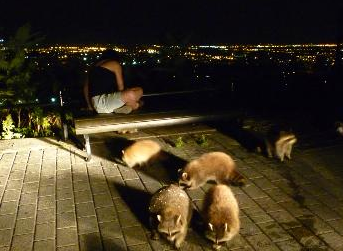 There is also an infestation of raccoons living in the forested area surrounding the lookout. After being fed by tourists over the years, the raccoon population exploded, prompting the City to erect signs warning people about the nocturnal rodents. The darkest secret of the Camilien-Houde Lookout is that its nearby slopes can be extremely dangerous after the sun has gone down. Several years ago, at around 1 a.m. on Sunday, September 23, 2012, a 48-year-old American tourist mysteriously fell from the lookout. His worried friends called 911 to report him missing. Firefighters with mountain climbing gear were dispatched to navigate the dangerous slopes. They found the man’s body 20 minutes later at the base of a tree. He had fallen an estimated 33 meters, or 100 feet, a spokesperson for Urgences Santé said. Emergency personnel were unable to resuscitate the man using defibrillation and he was pronounced dead at the scene. Montreal police say it doesn’t appear that alcohol of a criminal act was involved, raising questions as to why he fell in the first place. While the fall appears to be accidental, authorities could not determine what may have caused the man to plunge to his death. The name of the victim was never released. In another instance, on June 24, 2015, three people in their 20s were injured early after they toppled off Mount Royal at the Camilien-Houde Belvedere lookout while drunk. At the exact same time as the incident in 2012, at 1 a.m., a young man fell from the lookout and tumbled several meters down the slope. According to the Montreal police, two young women tried to help him and ended up losing their footing and falling as well. 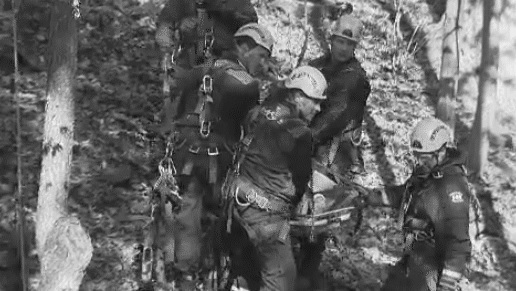 Again, specialized climbers with the Montreal fire department were called in and rescued the trio. All suffered minor injuries. Whether or not the undead apparitions or scurrying raccoons have anything to do with tourists falling to their injury or death is anyone’s guess. That the falls often happen at 1 a.m. raises further questions about whether it is mere coincidence or if there could be a recurrent haunting. Could an undead apparition consistently stalk the area at 1 a.m., looking for someone to push down the slope? One thing is certain: the Camilien-Houde Belvedere is not only known as a “Lover’s Lookout”, but it also has a haunted reputation and is a potentially deadly place to visit after the sun has gone down. The public season is in full swing and Haunted Montreal now offers Ghost Walks in both English and French! This year both Haunted Griffintown and Haunted Mountain are being offered, alternating on Friday nights. French tours are at 8:00 p.m. and English tours are at 8:30 p.m.
Tickets can be booked in the 2016 Tours section. Haunted Downtown is currently being revised before translation, but is still available for private tours for groups of 10 or more people (in English only, for the moment). 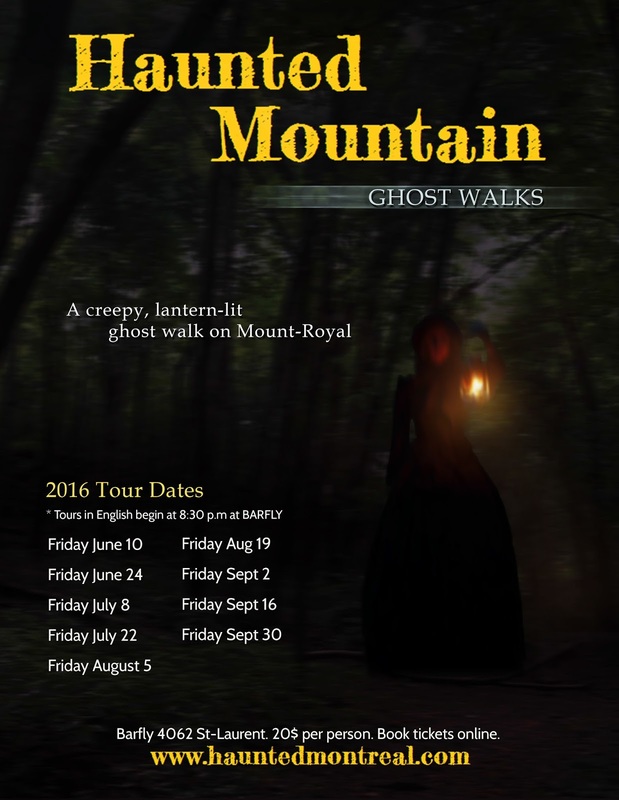 Haunted Griffintown and Haunted Mountain are also available for private bookings, in both English or French, subject to availability. Finally, we invite clients who attended a ghost walk to write a review on our Tripadvisor page, something that is very helpful for Haunted Montreal in promoting its tours. For those reading the blog who want to receive a new Montreal ghost story on the 13th of every month and stay updated, please sign up to our mailing list. Au-Pied-du-Courant Prison is popular with ghost hunters and paranormal investigators. 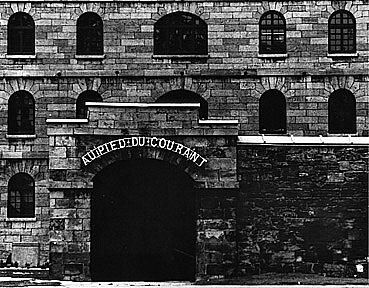 Built to replace the decrepit Montreal Jail in 1836, the riverfront Au-Pied-du-Courant Prison is infamous for its role in the Patriot’s Rebellion of 1837-1838. Designed to house less than 300 prisoners, approximately 1500 were packed in during the political uprising. The jail also witnessed 19 executions, including several of the leaders of the rebellion. Au-Pied-du-Courant Prison was abandoned in 1912 and sat empty for almost a decade, until 1921, when it was taken over by the Société des Alcools to warehouse copious amounts of alcohol. Today, the site includes a museum called La-Prison-des-Patriotes Exhibition Centre where visitors can learn about the failed rebellion and possibly experience something otherworldly. According to paranormal investigators, there are several ghosts haunting the old prison at the foot of the St. Lawrence River.